Pomade Philacome, Bellezaire Brilliantine, Olive Wax Pomatum. No, these are not magic spells from the latest Harry Potter movie; they are hair products for men. Available to anyone with the means and the desire to order them from that American mail order giant, Sears Roebuck & Company, these products are just a few of the many that promised late nineteenth and early twentieth century men everything they could ever want in hair care and styling. Based on the examples found in the photograph collection at the Morrison County Historical Society, Morrison County males appear to have taken advantage of these products or others like them. Through the increasing availability of hair products for men and the professional services of barbers who have worked in the area, the men of Morrison County have had ample opportunity to keep up with national and international hair trends. Hair dressing has played an important part in human culture since prehistoric times. While almost all societies have found it necessary to cut or confine human hair for the practical reason of keeping it out of the way, the styling of one’s hair is part of a natural desire for personal adornment. Hair fashions have typically reflected cultural and social identity and can indicate political and religious affiliation. Early Hebrews, for example, esteemed thick hair and believed that balding was a possible sign of leprosy. In early Central and Western Europe only “good” men could have long hair. Male slaves and criminals were required to wear their hair short, making them easily identifiable. The style of one’s hair can also be a professional asset. Placing oneself in the best possible position to procure court favors in seventeenth century France included having to endure a heavy elaborate wig that was most likely constructed of women’s hair. The male rage for wigs in much of seventeenth century Europe began when the French King Louis XIII began wearing a wig to hide his thinning hair. His successor, Louis XIV, further cemented the fashion by appearing at court in a towering wig that was meant to make him look taller. With the formation of Morrison County in 1856 and the establishment of an organized government, professional businessmen and women came to the area in increasing numbers and the population of the county quickly grew. Some of the first trained professionals to set up shop in the various towns and villages were barbers. By the time the first Little Falls City Directory was published in 1892, there were at least twelve barbers practicing in the area. The 1928 Morrison County directory lists twenty – eight in Little Falls; two each in Pierz, Royalton, Swanville and Upsala; and one each in Bowlus, Flensburg, Motley and Randall. One of the earliest known barbers was James M. Cota. 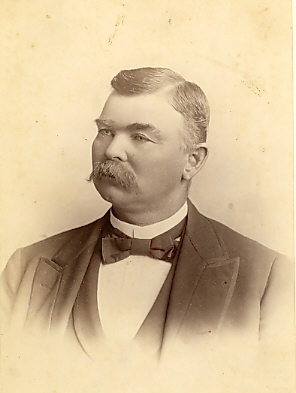 Cota began practicing his profession in Little Falls in 1876, three years before Little Falls was organized as a village. By 1890 he had established a shop in the Flynn Block on Main Street. Advertised as “first class”, Cota’s shop was “…nicely fitted up with three easy chairs and a full complement of well kept tools…” (Little Falls Daily Transcript, 10 January 1890). 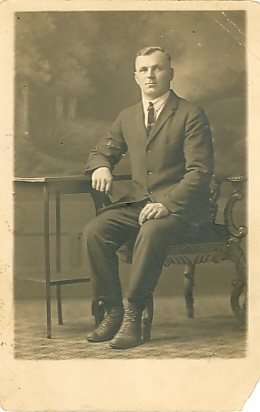 A well-known Morrison County barber from more recent times was Joseph Charles Girtz. 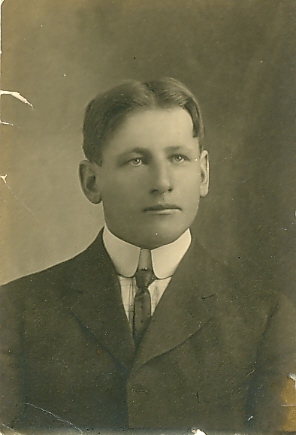 Born in Pierz, Minnesota, in 1910, Joseph Girtz started his career as a barber at the Art Reynolds shop on East Broadway in Little Falls. 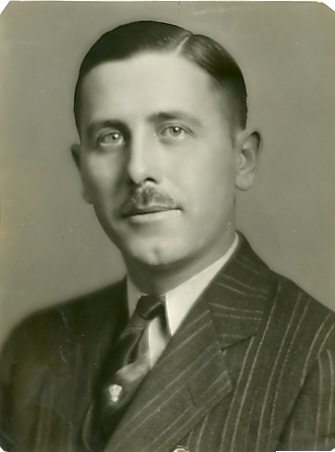 Prior to this he had worked for a short time in the automobile industry in Michigan and in the wheat fields of North Dakota. Girtz received one year of training at the Moehler Barber College in Minneapolis, Minnesota. After a few years of working with Art Reynolds, Girtz went into partnership with Chet Noyes on First Street (now Mushel Drug). Before setting up his own shop on East Broadway in 1946, Girtz worked for a year in Alaska as the camp barber for the Foley Construction Company during the construction of the Alaska Highway. Girtz served the Little Falls area with his barbering skills and expertise. He also volunteered as a booster for the city and was active in many organizations, including the PTA and the Chamber of Commerce. A visit to the Girtz Barber Shop could be a profitable business and social adventure as well as good for one’s hair and fashionable appearance. The photos above show examples of men’s hairstyles. These photos are from the collections of the Morrison County Historical Society. All of them are unidentified. 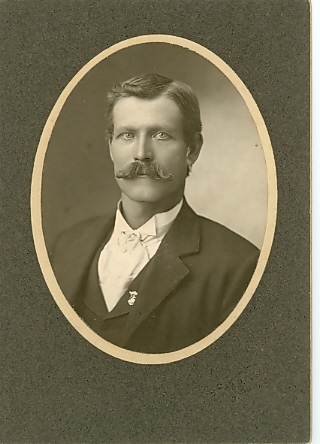 The man in the oval frame was a friend of Emma Schwanke of Randall, MN, but that’s all we know about him. If you can help us identify any of these gentlemen, please contact us. Did these hairstyles not have names? pompadours. For the men’s pompadour, think James Dean. And today’s men can sport a man bun if they like. — A little online research turned up this site from Elle magazine: 100 Years of Men’s Hairstyles: http://www.elle.com/beauty/news/a31642/100-years-of-mens-hairstyles/ – Thanks for your question.